I just heard a Bud Light Real Men of Genius ad on the radio (“Mr. Cargo Pants Designer … is that a banana in your pocket?”), and it reminded me of the fact that there IS no better ad campaign in history than Bud Light’s “Real Men of Genius” (formerly known as “Real American Heroes”) radio ads. They are pure brilliance! If you’re like me, you’ll bookmark this entry. Then, whenever you need a lift… have a few minutes to kill… or just need a good laugh… you’ll find great pleasure in hearing these ads over and over again. 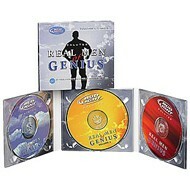 Following are the full-length .mp3’s for many of the Bud Lite Real Men of Genius ads. Why not crack open your own bottle of Bud Light, sit back and relax while you listen to these full-length commercials online. I promise, they’ll make you laugh out loud every time you listen to them! 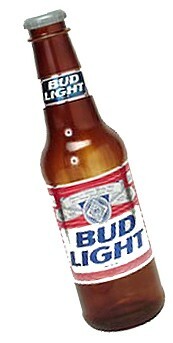 Don’t miss Jeremy’s homemade Bud Light Parodies! And now you can send a personalized Bud Light Real Men of Genius birthday greeting to a friend! Check it out… Lots more fun Bud Light memorabilia!